Mani Ratnam's Raavanan featuring Vikram, Prithviraj and Aishwarya Rai is turning out to be a super hit in Kerala. The film has taken a better opening than any recent Mammootty or Mohanlal film in the state! From 66 screens in Kerala, the film has grossed a whopping Rs 1.67 crore, with a distributor's share of Rs 62 lakhs in its opening week (June 18 to 24). In Ernakulam city from Shenoys and Padma the film has netted Rs 18, 65, 255, which is fantastic by any yardstick. The aggressive promotions done by Vikram and Prithviraj paid off handsomely. They visited theatres screening the film in Ernakulam and mingled with the crowds who went ga-ga over them. The collections from Hindi Raavan which opened in six screens in the state have been disappointing. Abhishek is not a star in Kerala where Bollywood stars like the Khans- Salman, Shah Rukh and Aamir, and Hrithik Roshan rules. Says Suresh Shenoy of Shenoys Ernakulam: Raavanan is doing extraordinary business in Kerala. 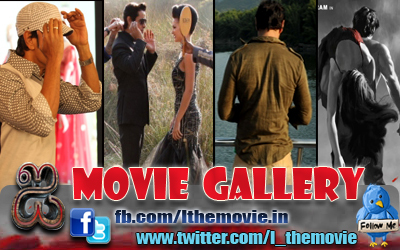 People seem to like it for Vikram, Prithvi and Ash, especially the climax fight on the bridge and the stunning ending. Vikram and Prithvi visited Shenoys which was houseful. They stood near the screen and Vikram spoke in Malayalam which had the crowd in raptures. I would say their promotions helped the film as they were all over the Malayalam channels which helped the film to get a fantastic opening.